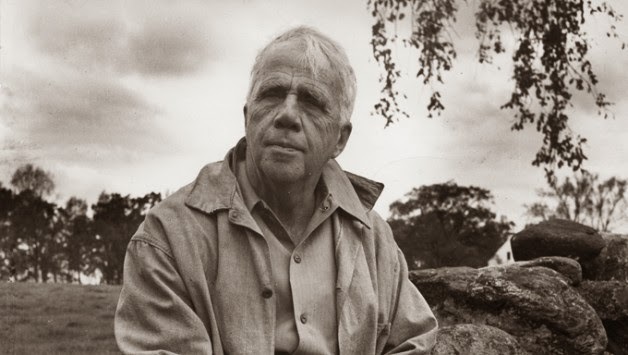 On the point of returning to the United States from England, where he had lived from 1912-1915, Robert Frost wrote in a letter to a friend: “England has become half my native land – England the victorious” (“Selected Letters”). This is one of the more outward signs that Frost was facing a sense of physical “in-betweenness” or homesickness at this time, but we can also sense similar feelings – although in a more subtle, interior way – in Frost’s poetry, largely through his illustration of uncertain location, landscape and feeling. Could reading Frost’s poetry reassure and help us with our own feelings of homesickness and displacement when we’re in similar situations? Is a record stride or stretch (21-26). Or somewhere else: I was just far from home (5-9). Here there is no reassuring sense of place, only the supposedly comforting thought of being “just far from home”. The evocation of “home” implies a place to return to and feel comfortable, yet the speaker is devoid of any certainty and orientation, caught in a landscape of “trees/ too much alike to mark or name a place by”. Will the desire to return home become too strong for the speaker? For Frost, being lost can be crucial in developing the speaker’s ability to discover new thoughts or to ruminate effectively. In “The Wood-Pile”, the speaker interprets with detail the pile of wood in front of him, “piled – and measured, four by four by eight” (24). The abandoned woodpile is in a state of in-betweenness, caught halfway between one state of existence and another. It belongs where it is found because it was made there and never moved, but it does not belong because it has not fulfilled its human purpose. Instead, with a “slow smokeless burning of decay”, it disintegrates slowly, like the “warping” bark of the trees around it (29). Profoundly divided feelings are introduced at line two of “The Wood-Pile”: “I paused and said, ‘I will turn back from here./ No, I will go on farther” (2-3). Here the speaker confronts the tempting desire to return to his home that is only “just far” away, but resolves to go on into the unknown. However, the quick alternation between decisions undermines the reader’s belief that the speaker will keep to his intentions. I know that I’ve faced similar feelings before, wanting to turn back home when really I should be going forward into the new and unfamiliar. I shall set forth for somewhere,/ I shall make the reckless choice/ Some day (19-20). The speaker appears fixed to a place that he wishes to leave, although he contemplates the possibility of eventually being content where he is as he grows “wiser and older” (13). Uncertainty and the fear of making a “reckless choice” compels the speaker’s feet to “tug at the floor” (15), and the reader cannot help but doubt that he will ever feel truly at home here. Haven’t we all experienced this at some point or another? Robert Frost’s poetry demonstrates a spatial displacement that can be linked to his own transatlantic journey between 1912-1915. As a result of his stay in England, Frost arguably developed a multi-faceted – or in-between – way of viewing and describing his surroundings, resulting in the prominence of uncertainty in his poetry. Not only do I find this interesting to explore in a literary way, it’s proved so useful to apply to my own life and journeys. While living in Barcelona, Frost’s poetry was a great provider of comfort and reassurance for my own feelings of homesickness. 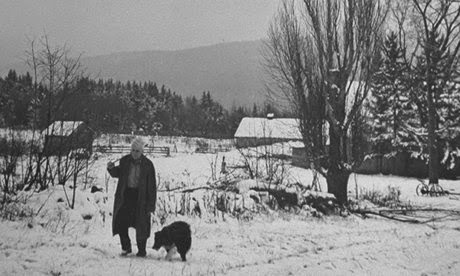 So, if you’re facing feelings of homesickness, or not feeling at home where you arguably should, why not try settling down with a Robert Frost anthology? I loved this post Lucy. I am big fan of Frost's and I think that your analysis of Frost is right on. How this work helped you deal with feelings of missing your home is interesting. As you point out, there is undeniably hope in his work. However, personally I find Frost to be very poignant and I tend to focus upon the sadness and darkness in his work when I read him. On the other hand sometimes doing so can be helpful as there is the "I feel better because I see that someone else feels like I do" thing. Thank you, Brian! I love your interpretation of Frost; I too find myself focusing on the sadness and darkness in his work a lot of the time, and like you've said, I think it can make you feel better about your own life by doing so. It was great to research the themes of hope vs loss, getting lost vs finding a direction to follow in his work. A fascinating poet!